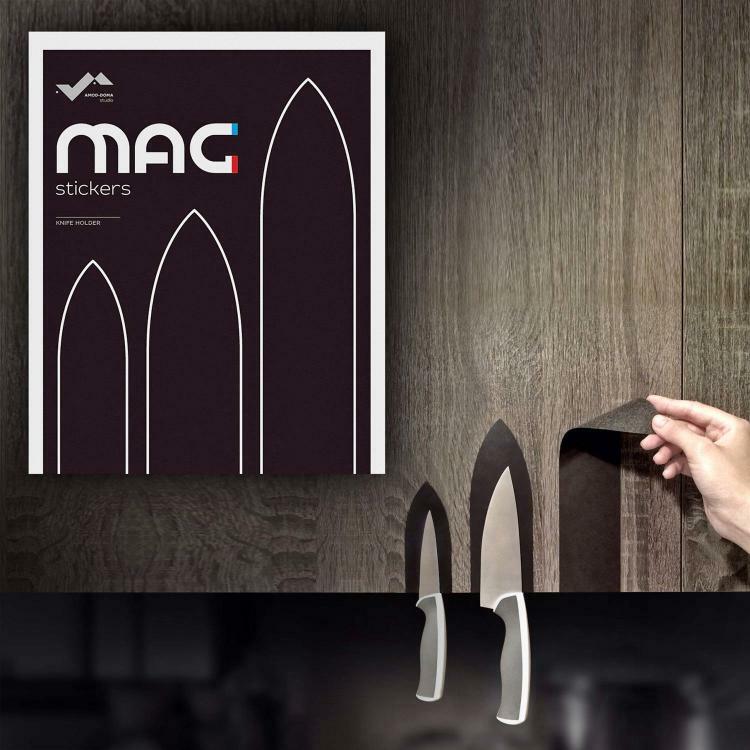 Mag Stickers are an innovative new way to store the knives in your kitchen. 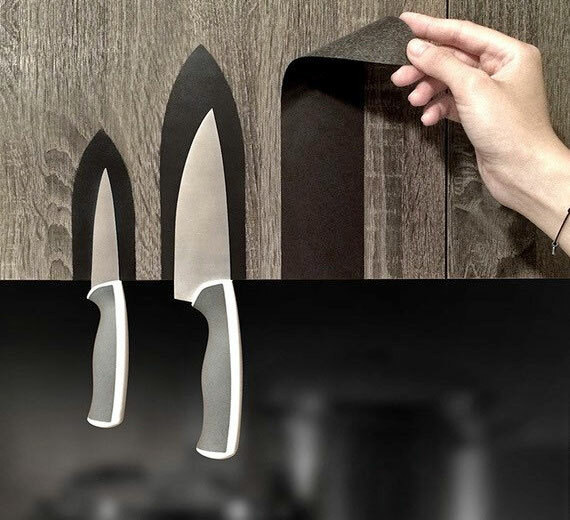 Made from magnetic vinyl these knife magnets attach to your cabinet, or really anything in your kitchen and allow you to stick your knives to them as a unique way of storing them for easy and quick access. 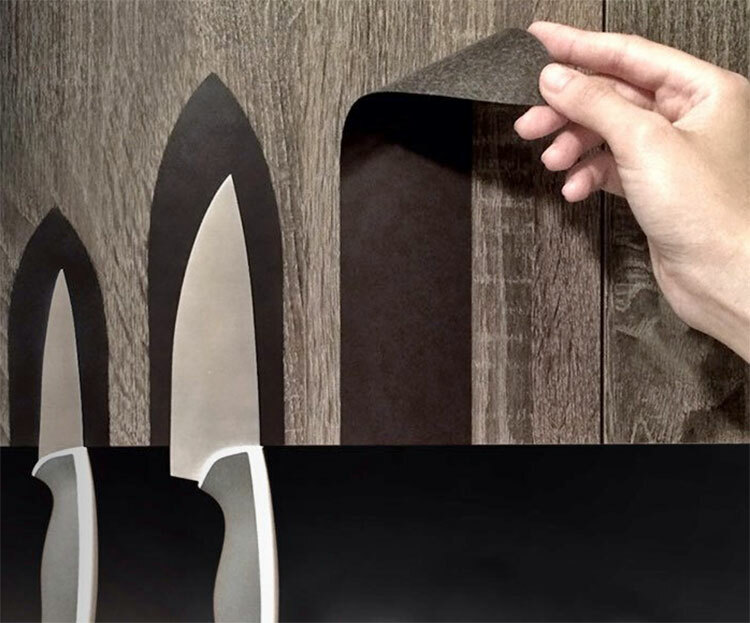 Not only does it hold your knives for quick access when you need to quickly whip up some dinner, but the knives will be out in a perfect location should you currently be running from a murderer in your house. Simply run to you kitchen, and you will immediately have access to all your kitchen knives for quick and easy intruder stabbings. The magnetic knife holder stickers are made from flexible layers of cardboard, vinyl, and magnetic vinyl, can be trimmed to fit any sized knife (assuming it's smaller than 11.8 inches in length), comes in a pack of 3 vinyl knife magnets, and each magnet measures 11.8 inches long x 7.9 inches wide x 1.5mm thick. Plus each knife magnet sticker is easily removable without any permanent damage to whatever you stick it to. So no worries about having to replace your entire cabinet system if you decide to remove the stickers.